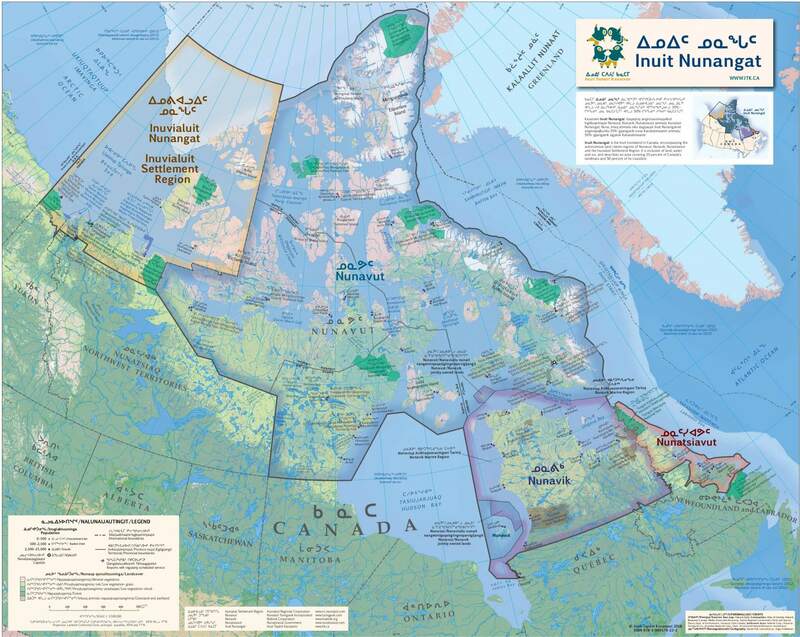 Inuit Nunangat is the Inuit homeland in Canada, encompassing the land claims regions of Nunavut, Nunavik in Northern Quebec, Nunatsiavut in Northern Labrador and the Inuvialuit Settlement Region of the Northwest Territories. It is inclusive of land, water and ice, and describes an area encompassing 35 percent of Canada’s landmass and 50 percent of its coastline. This map was developed by Inuit Tapiriit Kanatami. It is free for download and use without modifications in non-commercial applications. 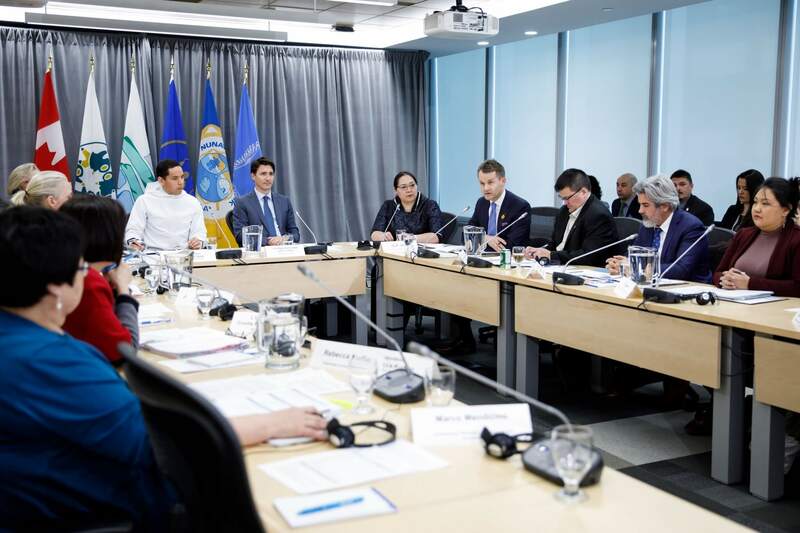 Please credit Inuit Tapiriit Kanatami. To order a custom printed copy suitable for hanging on a wall, please visit World of Maps.